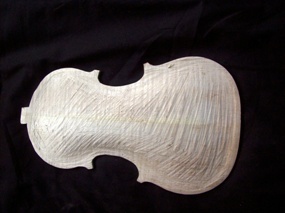 I accept commissions to construct individual instruments. My instruments have a "human face"; they have "personality". They are alive, never exactly the same, as opposed to the prevailing trend of strict adherence to extremely rigid measurements. 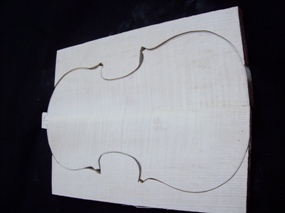 I am constantly working on new violins, cellos, and bass viols, as well as guitars. 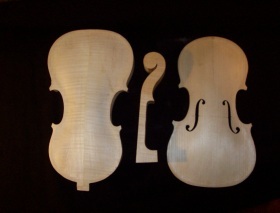 Currently one violin and one cello are being built. I am also restoring and often completely re-building old instruments. 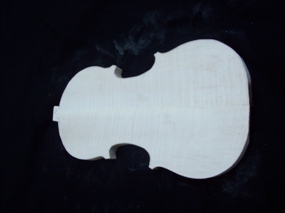 In this manner I am able to make violins, cellos, and guitars produce quality sound at a relatively low cost. 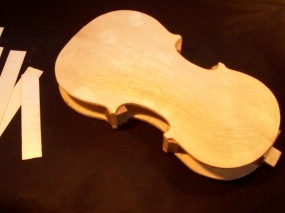 At this time, one full-sized and one half-sized violin are in the process of being rebuilt. 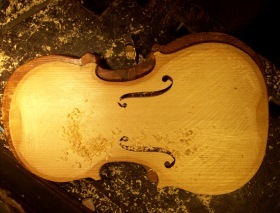 Next, I intend to work on refurbishing two cellos and a violin, as well as restoring several other violins.